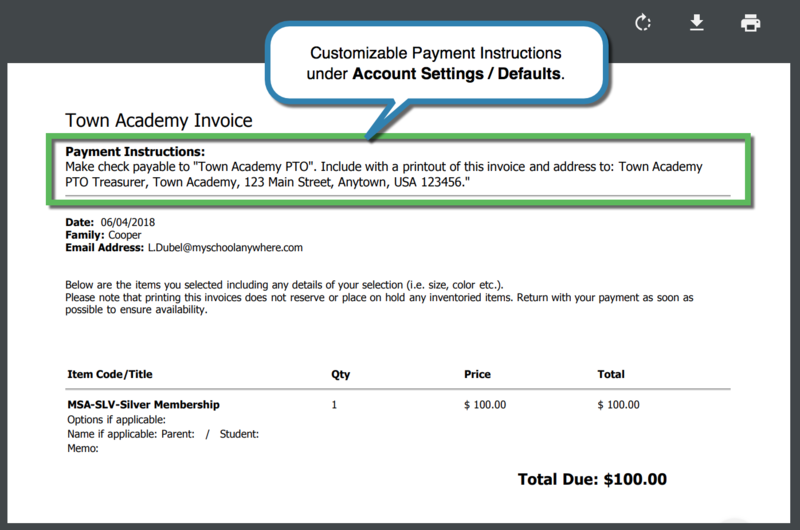 Open Invoices and "Print to pay by check"
Items found on Store / Open Invoices were added when a parent goes to your online store and instead of checking out they can click to Pay by Check. On the checkout page, your parents are presented with an option to Pay by Check. This will open a PDF that they can print and return with their check attached. When you record the sale, open invoiced items will be waiting in the families "cart" for you to record the purchase.